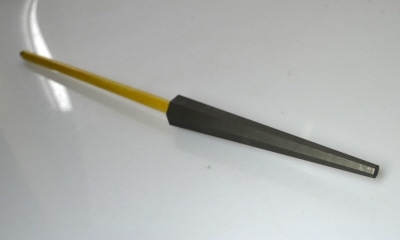 This graphite reamer is great for shaping and flaring . You can use the whole length for reaming out vessel necks and making off mandrel loops bigger and perfectly round. The graphite measures 24mm thick,thins to a 9mm wide end,150mm long with the handle 240mm long,total length is 390mm long.